The most popular attraction in the Brecon Beacons National Park, the Mon & Brec Canal is totally landlocked. 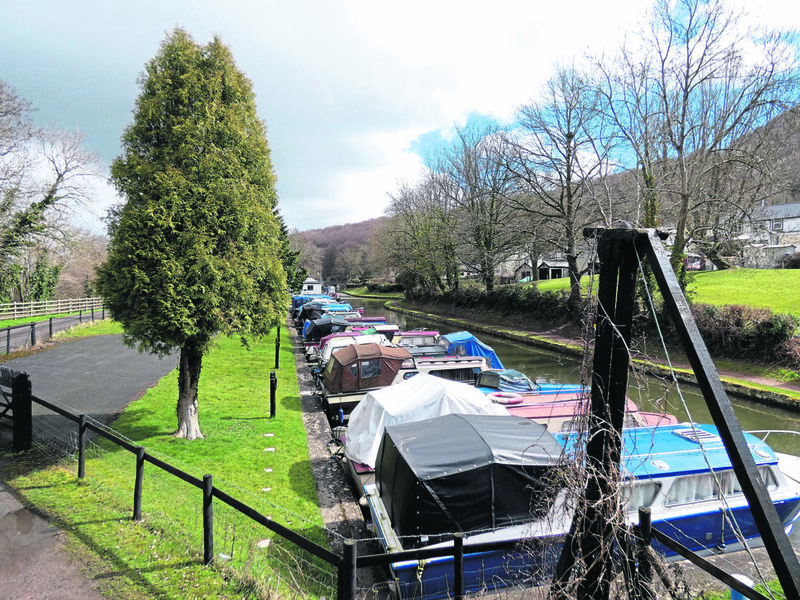 Janet Richardson visited South Wales to find out more about this peaceful and scenic waterway. MY WHISTLE-stop tour started at the Glandwr Cymru (Canal & River Trust in Wales) South Wales and Severn Waterway office at Govilon Wharf where I was met by the trust’s head of Wales Andrew Stumpf and Kevin Phillips, customer operations supervisor for the Mon & Brec and Swansea canals (pictured below). With just six locks – one at Brynich and the remainder comprising the Llangynidr flight – the 35 navigable miles include one of the longest lock-free stretches in the UK. The Monmouthshire & Brecon Canal, which celebrated its bicentenary in 2012, originally carried locally mined coal, limestone and steel down to the docks at Newport on the South Wales coast but now stops around 10 miles short at Pontymoile. There it is joined by the partly restored Crumlin Arm with its Cefn flight of 14 locks. 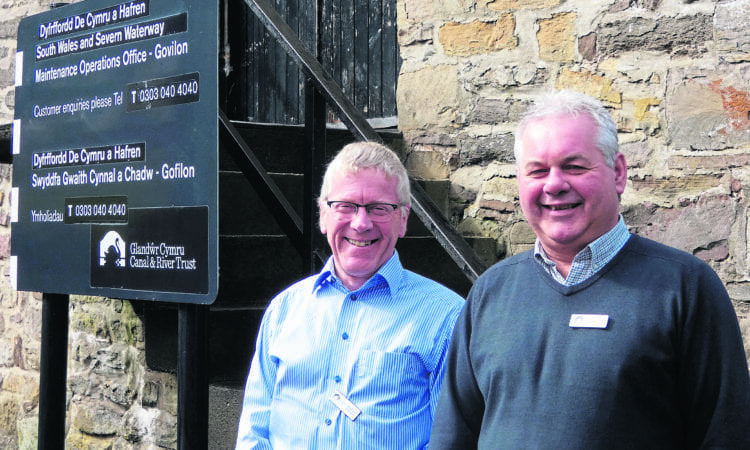 As it is not connected to the canal network, hire boats provide the predominant means of getting on the water and there are six companies centred round Goytre Wharf alone. 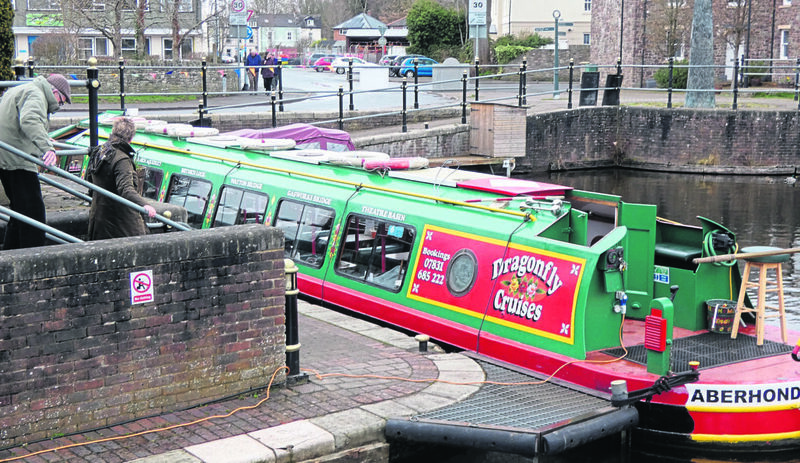 Day boats can also be hired at Llangattock and Brecon where you can also board a trip boat. Andrew explained: “There is plenty of opportunity to have a holiday here. 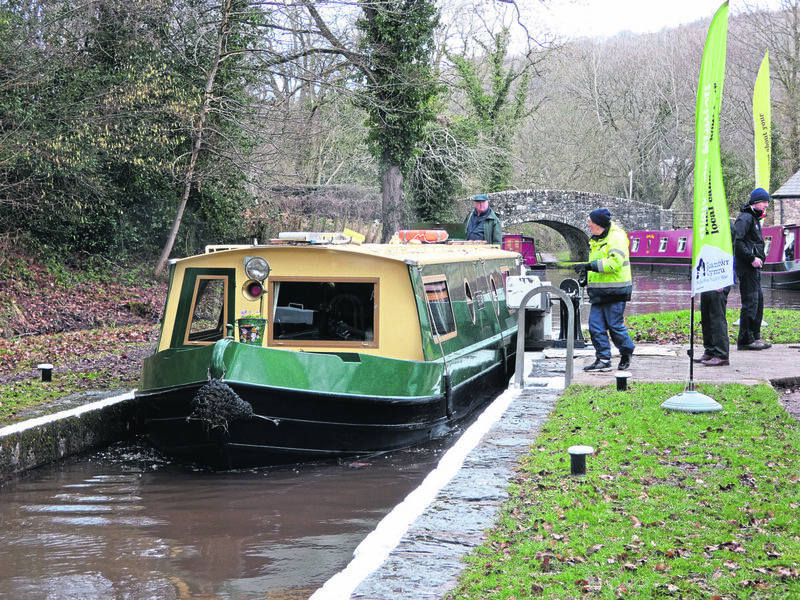 About 130,000 boat nights are spent on the Welsh canals, 70,000 of these on the Mon & Brec each year.” There are around 3000 lock passages over the year at Llangynidr with slightly more at Brynich where the trip boats operate through. The canalside villages have pubs, shops and post offices which are kept alive with the help of the business which the Mon & Brec brings – an estimated 60% of trade. The season runs until the first week in November. As well as narrowboating, the canal provides miles of canoeing and paddling while the towpaths are enjoyed by cyclists and walkers with lots of circular routes. Although not navigable, canoeists can also use the River Usk. The area is also renowned as a ‘foodie’ destination and Abergavenny has a Michelin star restaurant and a weekly farmers’ market on Thursdays. Local delicacies include Blaenafon Cheddar which is matured 300ft below ground at the bottom of the mine shaft at the Big Pit Mining Museum which is a free-to-enter real coal mine with underground tours, miner guides and a warm welcome. Local events include the Brecon County Show on August 4, Brecon Jazz Weekend on August 10-12, Crickhowell Autumn Extra Walking Festival from September 14-16 and Abergavenny Food Festival on September 15-16. Last year a very successful Canalathon – a 35-mile endurance challenge – was organised in September by the Monmouthshire Brecon & Abergavenny Canals Trust. The Monmouthshire & Brecon Canal Lime Kilns Trail from Brecon to Goytre follows the route of the canal, limestone having been quarried at several sites including Watton, Talybont, Llangattock, Gilwern and Goytre Wharf which is also a dark sky location. Other attractions include the Theatr Brycheiniog and canal basin at Brecon, built in 1996, the Regimental Museum of the Royal Welsh (Brecon) which tells the story of the battle of Rorke’s Drift, Brecon Cathedral and the town which is renowned for its antique, craft and book shops. Andrew added: “Although it is a small canal, the Mon & Brec has everything on it.” As well as locks, aqueducts and the Ashford Tunnel there is even a 126ft high Giant Redwood tree with a massive trunk close to Bridge 113 at Llangattock and thought to be over 150 years old. Two canal open days recently held at Llangynidr and Llangattock were very well attended with a lot of visitors signing up as friends. Because the canal has been built on a glacial moraine, it is not particularly stable and last winter’s work, funded by the Welsh Government, included the relining of a section at Llangattock. Next winter’s programme includes three new sets of lock gates and concrete channel repairs as well as bridge and aqueduct maintenance. Environmental work has included planting schemes to provide wildlife habitats. “The river and the canal complement each other and animals such as otters and bats rely on the canal connection between the various habitats,” he explained. At the time of my visit shortly after the start of the season on March 16, there were no major works in progress but Kevin explained there had been repairs to bridges, aqueducts and other structures over the winter. I met a team of Towpath Taskforce volunteers who were using a workboat to scour out sand from around the locks on the Llangynidr flight. Andrew told me that Wales has been outpacing England proportionately in adoptions and volunteers, the Mon & Brec having four adopted sections with taskforces meeting every Tuesday and Thursday. 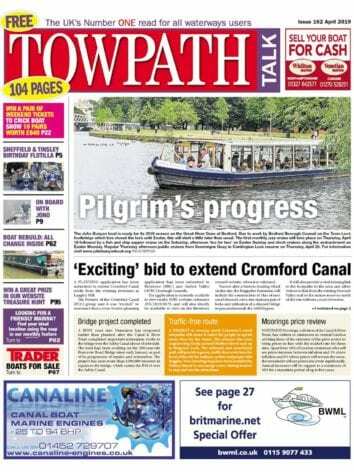 Glandwr Cymru is also supporting the partnership involving MBACT and the surrounding local authorities in trying to restore the bottom end of the canal – an area in a post-industrial phase where people need most help. Next Post:Be vigilant this summer!